Find a vacation home to rent in Seville from our list of vacation rental properties. Campaya has over 54 vacation homes available in Seville, which give you the possibility to locate a unique accommodation in Seville which completes your check-list in search for the perfect self catering vacation apartments in Seville or vacation villas in Seville. 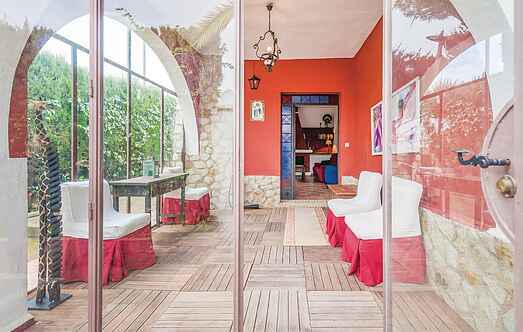 This fantastic 4 bedroom holiday home has a typical Andalusian flair, beautiful furniture and wall rugs. This holiday house is located 1.5 km from Constantina, in the middle of the Sierra Norte de Sevilla Nature Park, which is ideal for nature walks. In the mountains above Constantina, you will find this rustic holiday finca with a large natural garden. In the private pool, you can swim a round and sunbathe on the green lawn. Just 5 km from El Ronquillo, this magnificent holiday home is located in the Sierra de Sevilla. Already on arrival you will be overwhelmed by the feeling of peace and the feeling of nature. This rustic house is located within in the Nature Park Sierra Norte de Sevilla. It has a private pool and nice comfortable furniture. Horseback riding can be arranged on request. A holiday home in the centre of Andalusia with capacity for 12 people and the added comfort of an en-suite bathroom in each bedroom. This nice holiday home for 6 people in Casariche is located in a perfect setting for sightseeing in the centre of Andalusia. In beautiful Seville you will find this holiday apartment for up to 8 people in a quiet residential area near the city center. 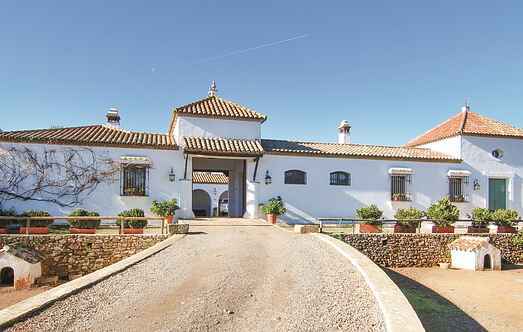 This fantastic Andalusian property is surrounded by arable land and has a large horse stable. Even from far, this majestic farmhouse with white and ochre silhouette is impressive. (Object can also be booked for only 6 people under Ref. EAC076). Wonderful holiday home with a large capacity and a large pool. Located in the heart of a natural landscape.